Larry Keel & Adam Aijala, from Yonder Mountain String Band, perform a duo acoustic show at the Shepherdstown Opera House in Shepherdstown, WV on 5/5/10. May 11, 2010 — Larry Keel & Adam Aijala, from Yonder Mountain String Band, perform a duo acoustic show at the Shepherdstown Opera House in Shepherdstown, WV on 5/5/10. Taken a show at Triad Stage in Greensboro, NC. Night out with Larry keel And Adam Aijala after a day of sells with the Down The Street Bead Show in Charleston South Carolina this past sunday……..This is the first of two encores for the night……..
Larry Keel and Adam Aijala (YMSB) embark on their SouthEast tour today in Shepherdtown, VA; Thursday in Boone; Friday in Greensboro; Saturday in Atlanta; and Sunday in Charleston SC! Check out this inyterview with Larry and the Mountain Times in Boone before Thursday’s show at the Boone Saloon. The guitarist of bluegrass stalwarts Yonder Mountain String Band has been touring with flatpicking virtuoso Larry Keel, and the duo is bringing its class act to Boone on Thursday, May 6, at the Boone Saloon. And a complimentary crossover, at that. On their southeast tour, Keel and Aijala have been performing acoustically, playing each other’s own material, along with some choice covers. Keel promises some musical rarities, songs not typically heard with any of his other combinations, including Natural Bridge. But they’ll still have that same excitement, the kind ever so evident in musicians who clearly love their craft. Just a month ago, Larry Keel and his band Natural Bridge were playing a headline spot at Awendaw Green’s annual Rocktoberfest concert. What ensued there was anything but expected. Keel and the band invited local Charleston rockers Sol Driven Train on stage, for an extemporaneous medley of Bob Marley songs, musical interplay, and onstage antics that fired up the crowd and made for an extraordinary end to the weekend. 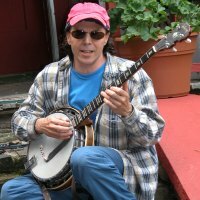 This kind of musical uncertainty and intensity is part of what has kept Keel in the bluegrass spotlight for over 10 years now. 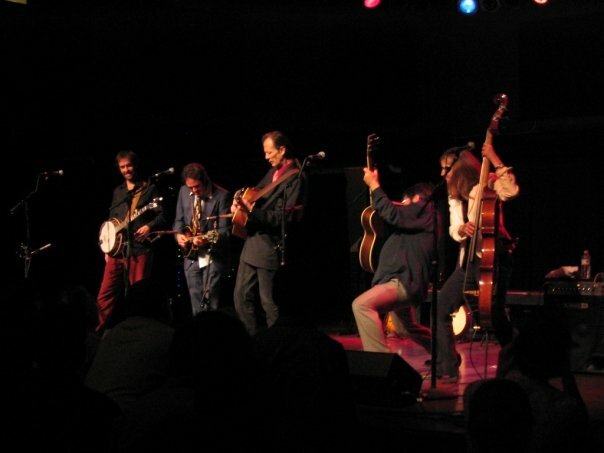 A fan favorite in Charleston, Keel and the band (Mark Schimick on mandolin, Jason Flournoy on banjo, and wife Jenny Keel on upright bass) will be playing a special show at the Charleston Pour House on November 21, joined by bluegrass legend Tony Rice. 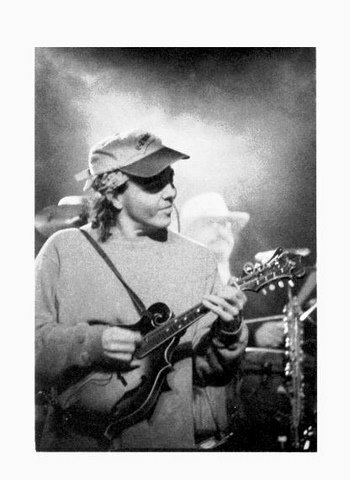 Rice has made a career of his own in the last 50 years, and played alongside legends like Jerry Garcia, David Grisman, Peter Rowan, Alison Krauss, and Ricky Skaggs, to name a few. He is easily one of the most well respected flatpickers on the scene, and will certainly add a new element to the typically high energy Larry Keel experience. How exactly Rice influences their performance is still yet to be seen, but as usual, some surprises are guaranteed. 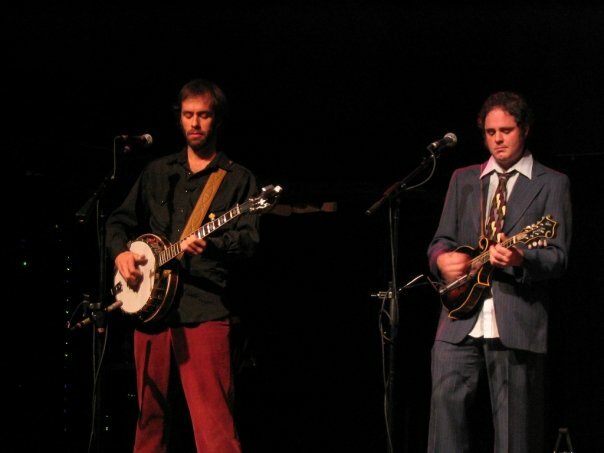 “It’s weird,” says banjo player Jason Flournoy, “We have a real organic approach right now. It’s real free flowing when [Tony] gets up there. He likes playing Larry tunes, so we write out the setlist and just wait to see what happens from there.” It will indeed be interesting to see how the stoic Rice and sometimes unruly Keel will interact on stage.